Located just south of Olde Naples close to Third Street, Aqualane Shores is made up of individual estate homes, many of which have waterfront access to a system of canals leading out into the Gulf of Mexico or the quiet backwaters towards Marco Island. The area has an island feel to it, with palm-lined streets, lush tropical gardens and warm gulf breezes coming directly from the Gulf of Mexico. From most of Aqualane Shores homes, a short walk takes you to award winning white sand beaches. The homes in Aqualane Shores have been built over a long period of time from 1960 up to the present day, family homes sit side by side with huge luxury residences, many new homes have been built on old sites, some have been renovated or expanded, there is no one style here, each home has its own unique personality adding to the uniqueness of this community. Aqualane Shores is close to 3rd Avenue South and 5th Avenue which both provide shopping, curbside cafes and gourmet restaurants. The community to the south is Port Royal where more waterfront properties can be found, some with deep water access to the Gulf of Mexico. If you would like to have the best Aqualane Shores Real Estate listings sent to your email each morning just let us know and we will make it happen. 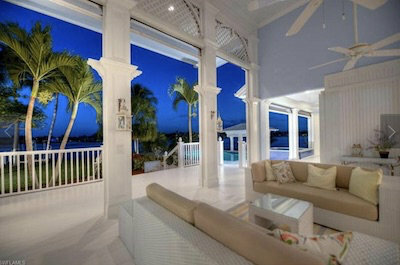 Waterfront homes line the canals not only in Aqualane Shores and Port Royal but in other areas of Naples. 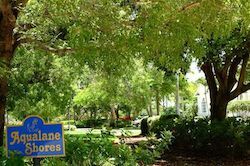 Our great little historic town sits right on the coast so there are many inlets, but there are also other communities with lakes and waterfront homes just a little inland in Naples. We can help you find the best Aqualane Shores Real Estate listings and advise you on all aspects of your purchase or sale. We have a team of dedicated Realtors with great local knowledge and a wealth of experience in helping discerning clients finding the right waterfront property. To make discuss your requirements, and make arrangements to have the latest Aqualane Shores homes for sale sent to you immediately, call 239 825 6161.